16/10/2015: Water cooling "radiator" for Simon Heal's Grass track sidecar � keeping things cool on the R1! 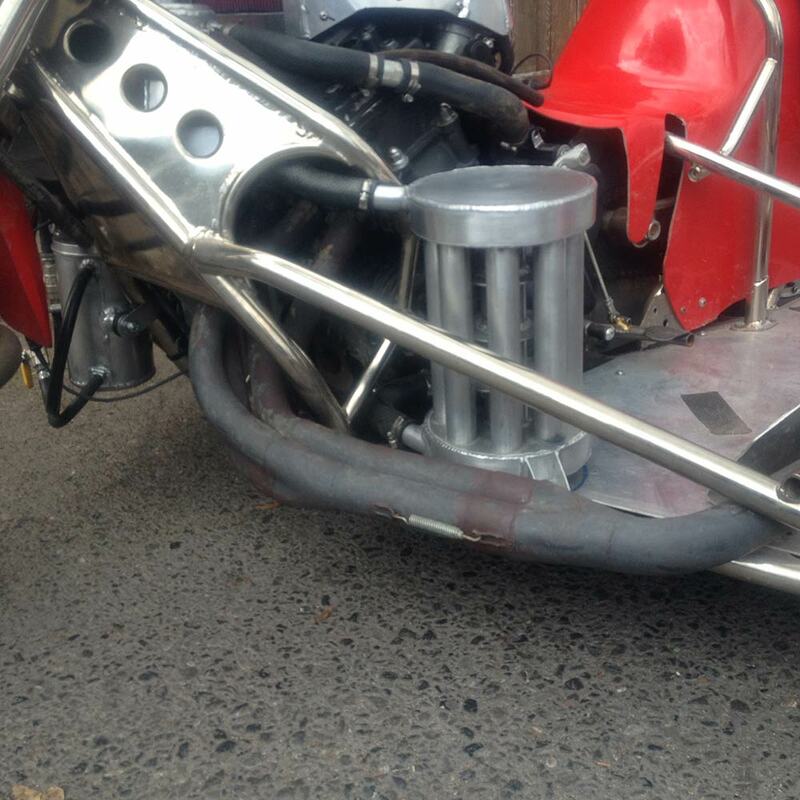 When Simon Heal found that the Yamaha R1 engine in his Grasstrack sidecar outfit was getting a bit hot and bothered, he turned to Lumley Engineering for a solution. the result can be seen in the photograph, showing an unconventional, yet effective design that has helped keep the temperature needle nearer the middle. The tubular water galleries are much more robust than those common on conventional radiators, and there are no closely spaced fins to clog with the inevitable mud thrown up in the course of a grasstrack race. Once again, taking an unconventional approach to a problem has brought about a practical solution.